Store in a cool, dark place at 50-55 degrees, (do not fluctuate temperature, keep constant). Wine turns/oxidizes at 75 degrees. Store horizontally to keep the cork moist and prevent it from drying out. Keep still. 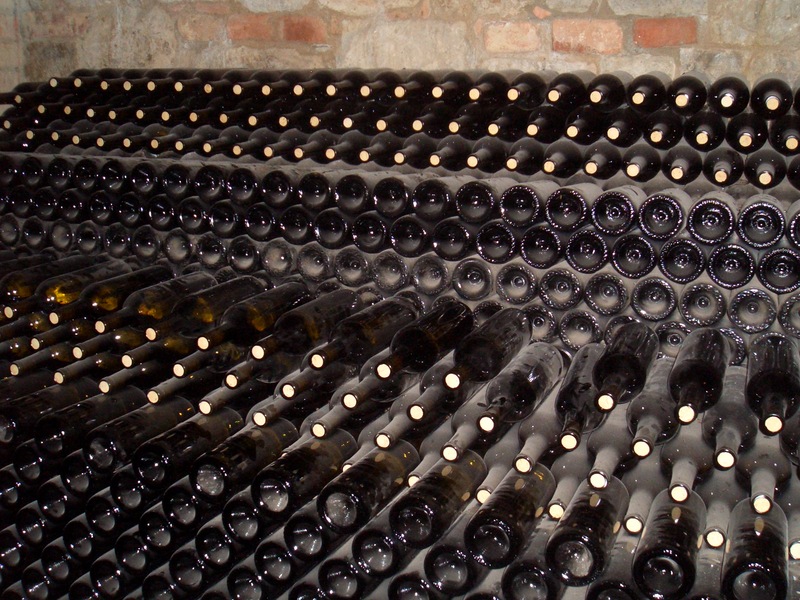 Try not to move the wine bottles once stored. Dark green bottles are preferable. Store upright. The theory is that lids are less reliable and can leak. A bottle of vodka will not go bad due to its alcohol content. This entry was posted in 'Miscellaneous', Beer, Liqueurs, Wine and tagged beer, bottle, cellar, collection, collector, liquor, racks, sommelier, storage, storing, wine by theboozyhomemaker. Bookmark the permalink.